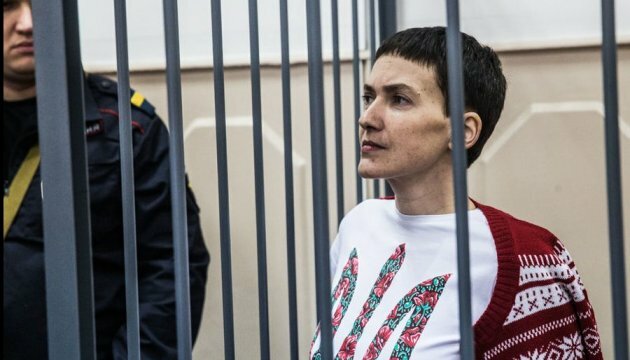 The Parliamentary Assembly of the Council of Europe will consider "the case of Savchenko" during the spring session, which will be held in Strasbourg on April 18-22. This has been said in a statement posted on the PACE website. The urgent debate on the case of Savchenko is scheduled for April 18, the first day of the session. The refugee and migrant crisis in Europe will be on the agenda as well, with debates on a stronger European response to the Syrian refugee crisis, the human rights of refugees and migrants in the Western Balkans and the new challenge posed by forced migration. The President of Austria, Heinz Fischer, the President of the European Commission, Jean-Claude Juncker, and the Prime Ministers of Georgia, Giorgi Kvirikashvili, and Turkey, Ahmet Davutoglu, are among leading personalities due to address the Parliamentary Assembly of the Council of Europe during its spring session.